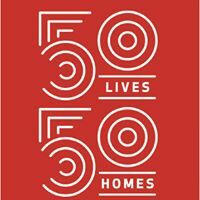 The Mercy Foundation is pleased to announce that this year’s winner of the Cath Leary Social Justice award is the Housing First collaboration in Perth, ’50 Lives 50 Homes’. The lead organisation of the project is RUAH. Each year the Mercy Foundation selects a project, organisation or individual who is deemed to have made a significant contribution to advancing social justice in Australia. With the Foundation’s special focus on ending homelessness, the award is frequently made to those people and organisations actively working to bring about an end to homelessness in their community. This year the Board of the Mercy Foundation made the decision to give the award to the ’50 Lives 50 Homes Perth’ collaboration because of the significant progress it has made towards ending the homelessness of a significant number of people in Perth. The campaign met its initial goal within a year of its inception and is still working hard to get people housed. The Foundation also recognised that as a collaboration of many organisations located in Perth, it is a great example of the outcomes that can be achieved when organisations work together to solve a difficult social justice issue, such as homelessness. The 2018 Cath Leary Social Justice Award recognises 50 Lives 50 Homes Perth’s contribution to the better understanding of and response to the injustice that is homelessness – especially where that homelessness manifests as long term rough sleeping. It recognises the advocacy, housing, support, health care and other work carried out by the campaign. The Board also acknowledges that the campaign has been and continues to be externally evaluated by the Centre for Social Impact at the University of Western Australia.